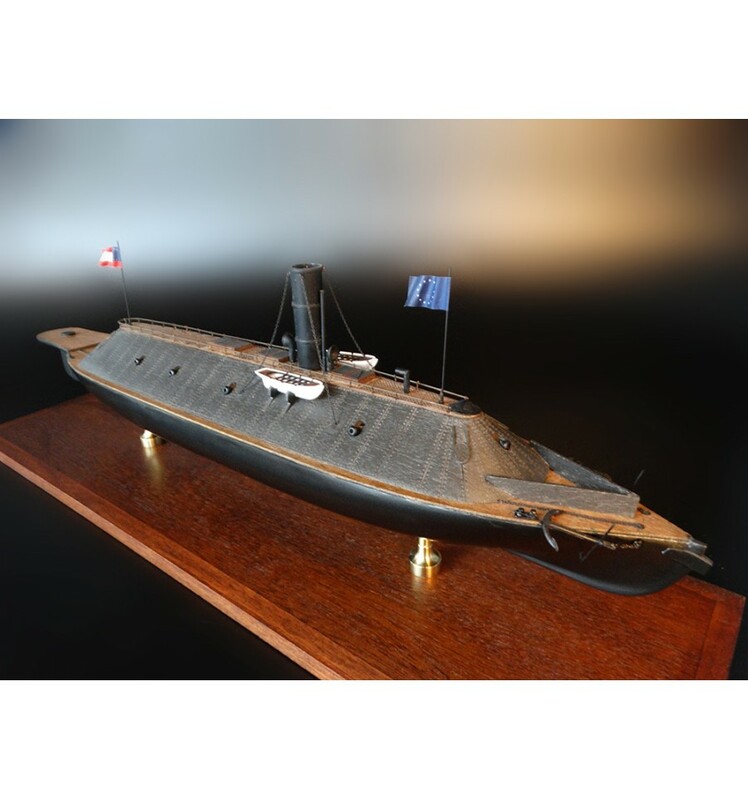 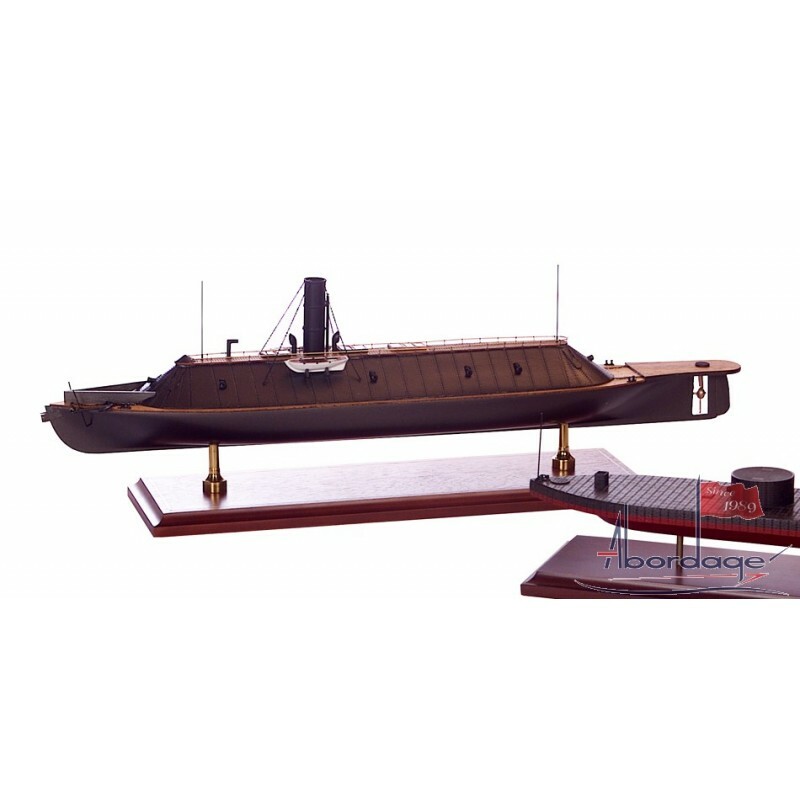 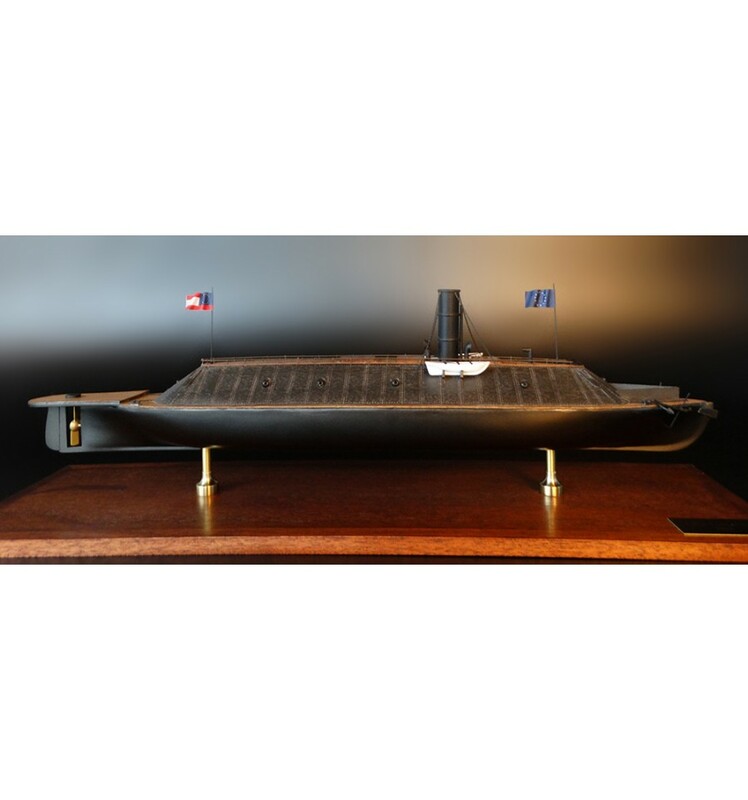 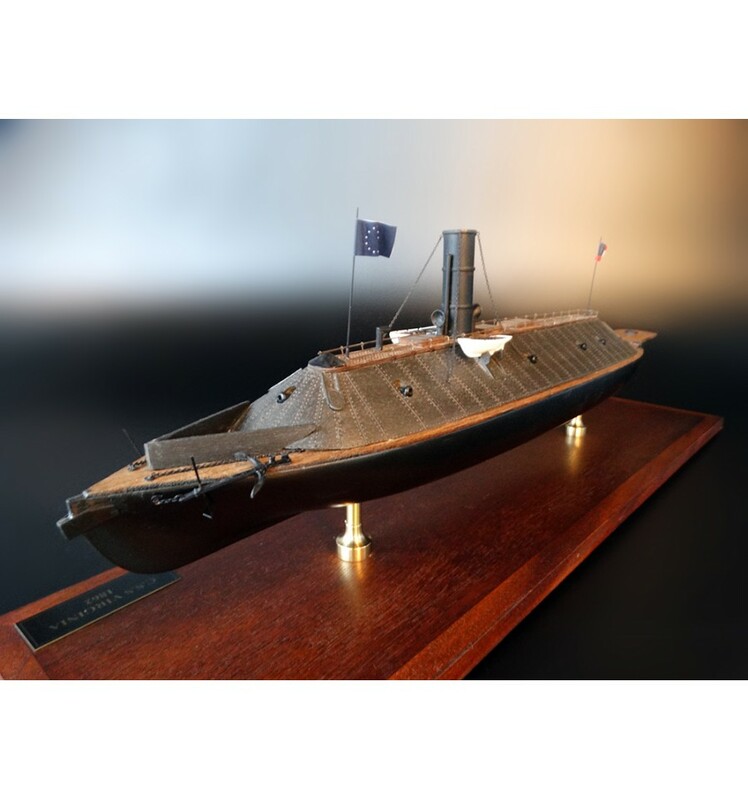 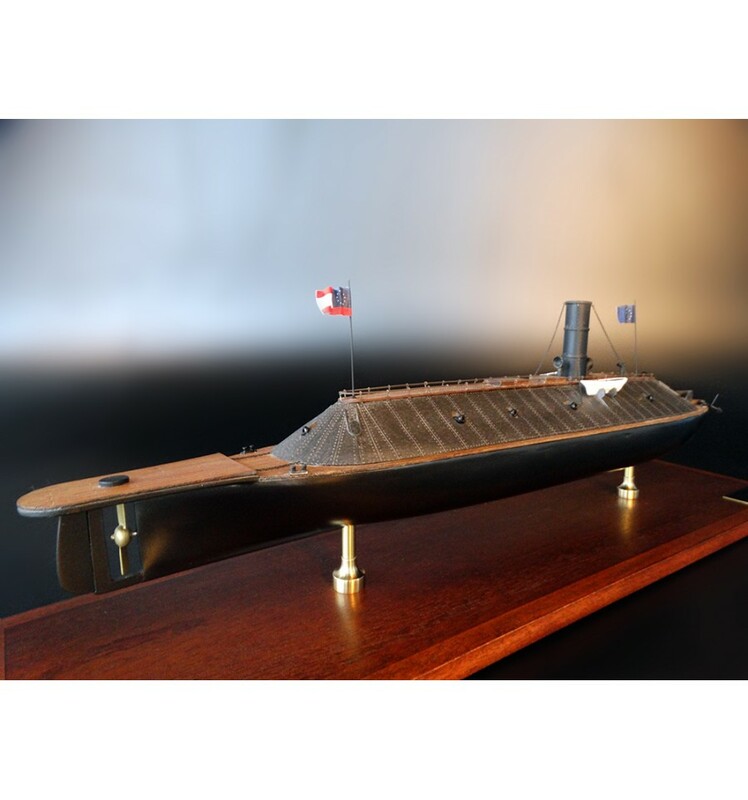 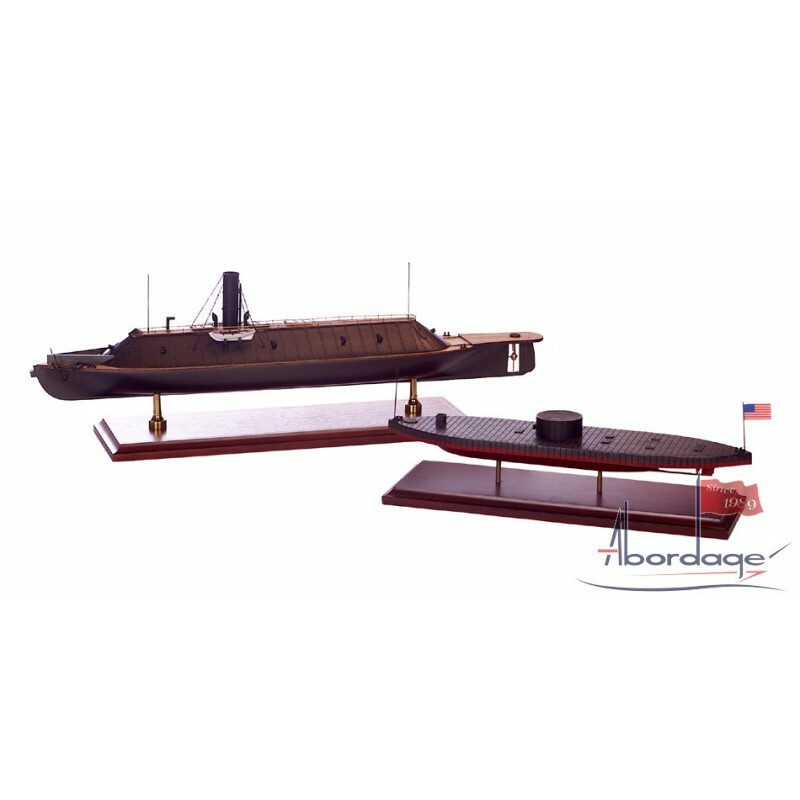 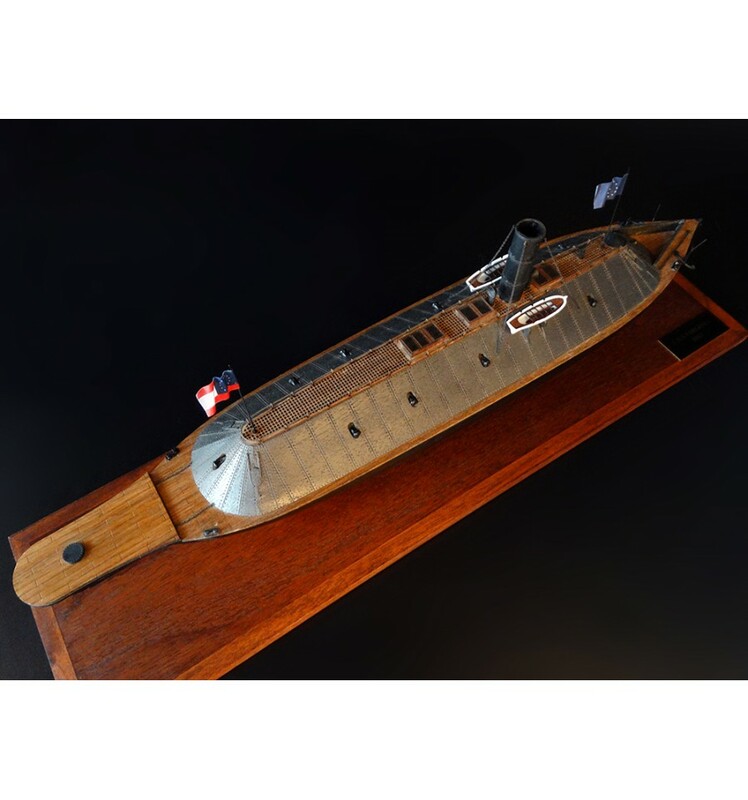 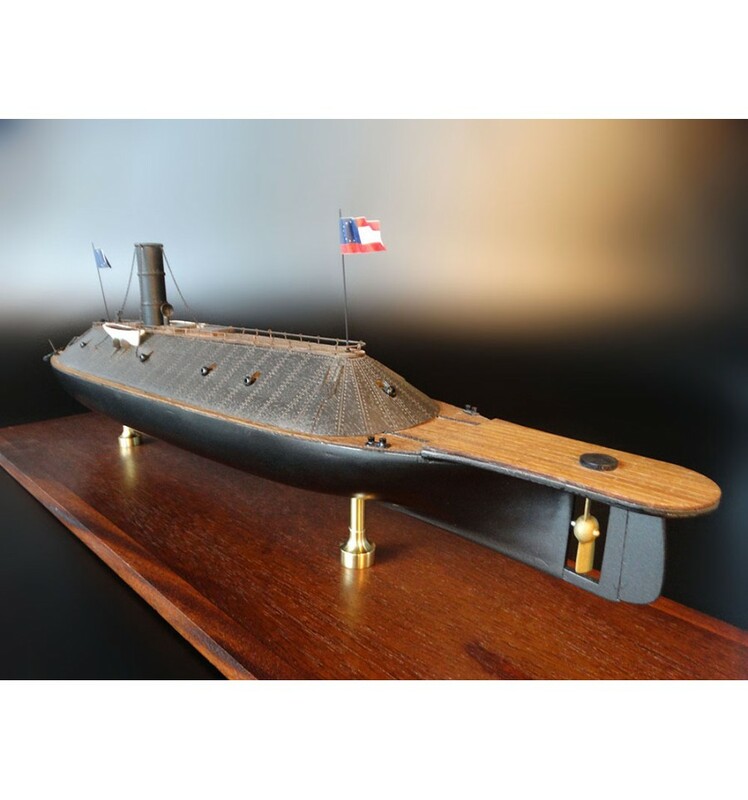 This model of the CSS Virginia faithfully represents the Confederate States’ implementation of a metal warship, whereby a pre-existing, partly-burnt wooden ship was cladded with layers of iron plate to transform it completely (interestingly, a reverse of the construction of the Cutty Sark). 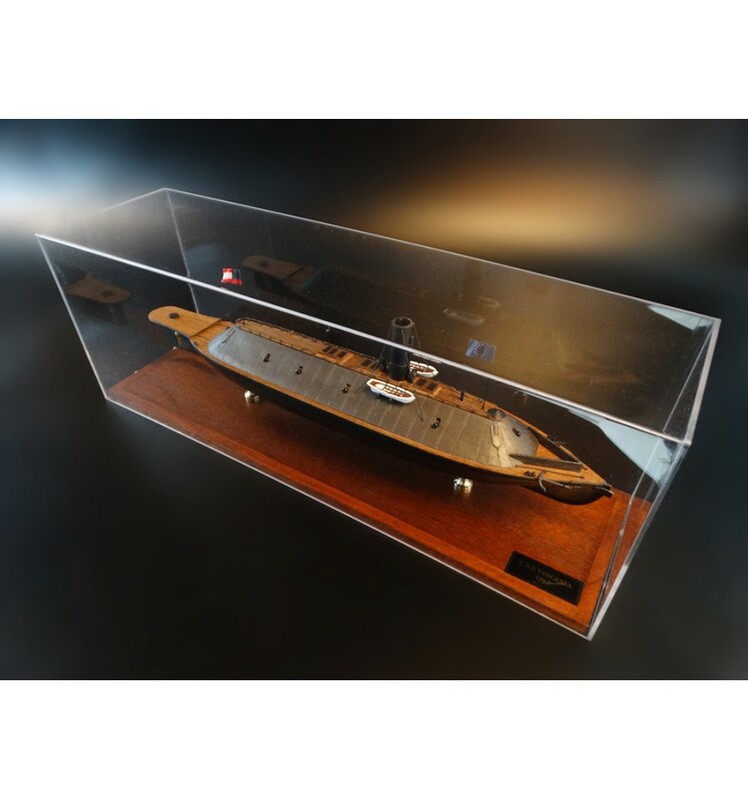 The laser etching brings out the detail of its construction, emphasizing what must have seemed an impregnable adversary at the time to wood-and-sail contemporary warships. 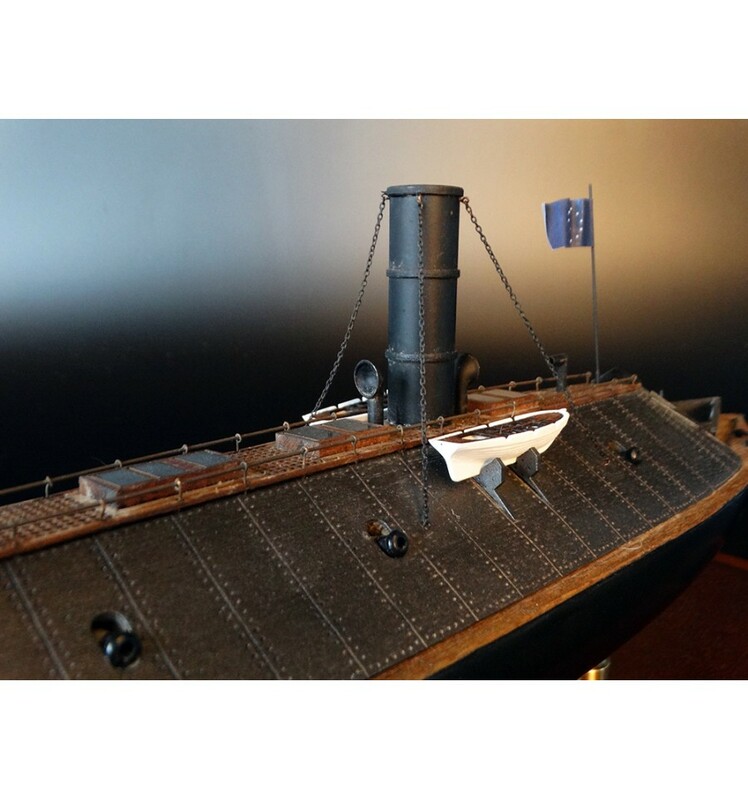 The fixed weaponry and surface fittings are all faithfully reproduced, as is the menacing ram at its bow, novel in warship design at the time, but made feasible because of the strength and perceived impregnability of the ironclad design.